It really does belong in a museum! Video games are getting the recognition they deserve, with an exhibition at the Smithsonian. 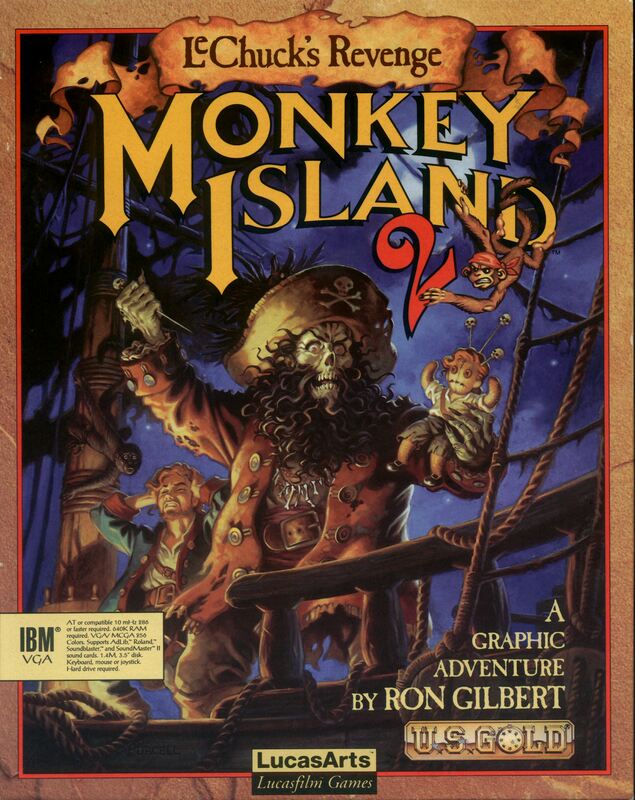 Among the five playable games is… The Secret of Monkey Island. Yes, it’s that good. In addition, you can vote for other games you’d want to be included – among the possible choices is Grim Fandango, another masterpiece from the days when LucasArts were busier with the second half of their name than with the first. “We loved it, it’s been successful on every channel it released on, as have the LucasArts remakes of the first two games. So the sheer love that people have for that franchise was immediately obvious and clear. So there you have it! If everything goes well at LucasArts, Telltale will try to bring ToMI2 to the table. Let’s keep our fingers crossed! You can also read the entire interview here. If you own the Monkey Island 2 special edition on Steam, you’ll have noticed that it has been updated. The update fixes the bone song, which was horribly out of sync before. The intro sequence with the credits has returned as well, but only in the classic version of the game, meaning you’ll have to press F1 right at the start of the game to see it. Did you notice any other fixes or changes, or do you know of patches on other platforms? Let us know in the comments! Update: You can read about all the fixes on Steam’s website. Monkey Island 2 Special Edition is out! Monkey Island 2 Special Edition: LeChuck’s Revenge has been out for a little over 24 hours for PC (via Steam), iPhone, iPod Touch, iPad, Xbox Live Arcade, and PlayStation Network. If you’re still not sure whether to buy it or not, check out some of the reviews that have already popped up. Woah, Guybrush seems to be the center of attention this week as the guys at LucasArts made THIS awesome thing. It’s a Voodoo Doll quite similar to the one you can see on the cover of Monkey Island 2: LeChuck’s Revenge.